Weight loss advice comes from all over the place – the internet, friends, books, TV, newspapers and everywhere else. Some of it is spot-on, while other tibits are, well… not. So how do you know what information you can really trust? You go to an expert, like Ralph Roberts, CPT! 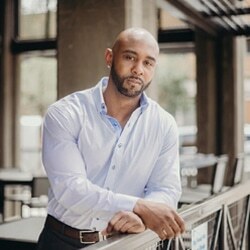 Ralph is a former pro athlete turned personal trainer (CPT), best-selling author and speaker. That makes him an expert in fitness, both personally and professionally. So, we wanted to hear his advice about how to get (and stay!) fit, even when motivation isn’t at it’s peak. 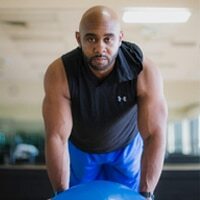 Here are Ralph’s awesome recommendations about how to workout for weight loss and live your healthiest life, even during the holiday season! 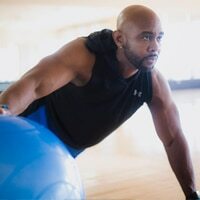 In your experience, what are the 3 most important things to know before starting a new exercise regimen for weight loss? Same goes for finding a support system. Finding someone that will keep you accountable and get you to the gym when you’re not in the mood makes all the difference. Your workout buddy can be a friend, spouse, fellow gym-goer, online companion, or anyone that works for you! What’s your favorite workout for weight loss? Circuit training and high-intensity interval training (HIIT) have grown increasingly popular over the last few years, and with good reason! 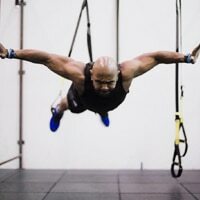 In fact, HIIT was named the #1 fitness trend for 2018 in a survey of fitness professionals! HIIT is characterized by short bursts of intense activity, followed by brief periods of rest and recovery. If you’re new to interval training, rest a little more between circuits or take the intensity down a notch. If you’re more in-shape, experiment with different exercises that continue to challenge you. The adaptability of this workout makes HIIT accessible and effective for athletes of all levels. Plus, it’s great for weight loss since the combination of cardio and strength training makes this workout a calorie-torcher! What’s your favorite workout for fat burning? 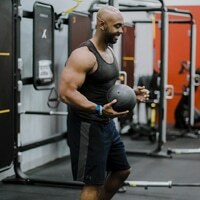 Push-ups (flat-side up): put your hands on the flat side of the bosu ball instead of the floor, and then do push-ups as normal. Squats (round-side up): stand on the ball side of the bosu ball and try to stay as stable as possible while you squat. You can do this with or without weight. If this is too easy, flip the bosu ball over and complete your set standing on the flat side. Sit-Ups (round-side up): Sit on the bosu ball with your feet on the ground. Keeping your back straight, lower your upper body down and then then sit up. Don’t arch your back or use your arms. Do you have any tips for how to stay healthy during special holidays like Halloween or Thanksgiving? A lot of people gain weight over the holiday season between all of the holiday parties, special treats and family gatherings, but that doesn’t mean it’s inevitable. If you go into the celebratory season with a plan, you can stay in control. In terms of nutrition, focus on portion control. Instead of classifying foods as “good” and “bad”, or swearing off whole food groups, try to consume a balanced diet in moderation. Current dietary guidelines recommend filling half your plate with fruit or non-starchy veggies, a quarter of the plate with whole grains and a quarter of the plate with lean protein. Try to stick to this basic guideline during the holidays as well. Load-up on veggies, choose whole-grains, favor lean proteins (e.g. fish, grilled chicken or tofu). Use portion control (and self-control) when it comes to sweets, simple carbs (e.g. white dinner rolls) and sugar-sweetened beverages (e.g. soda or fruit drinks). What’s the BEST health tip you’ve ever received? 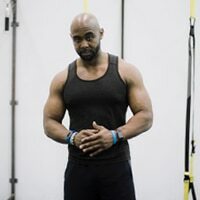 Visible changes – like weight & inches lost or muscle gained – are the only of the tip of the iceberg when it comes to weight loss transformations. Remember to also take note of changes in your outlook on life, overall confidence and sense of power. Realizing and accepting your feelings is critical for sustainable weight loss success. Your motivation, commitment and ultimate change all come from the inside – no matter how strong your external support system. So, the faster you understand and accept the role of your thoughts, the more successful you’ll be in executing the necessary actions to achieve weight loss. What’s the WORST health tip you’ve ever received? Information on matters of health and well-being should come from experts, but in today’s digital world, everyone has an opinion on how to workout, what to eat, what not to eat and how to live your life. Unfortunately, not all of that free advice is trustworthy. Be careful about taking advice from anonymous “experts” online. Instead, seek-out the counsel of industry professionals to ensure that you’re receiving advice you can trust. Go to certified personal trainers for fitness, registered dietitians for nutrition, doctors for medical ailments, pharmacists for drug interactions, etc. The person giving you advice about what to do with your health/body should have studied and trained in their field so that they can provide the information that will help you most. 🙌 Thanks again to Ralph Roberts, CPT for taking the time to share his knowledge. Remember to follow him on Instagram (@ralphrobertscpt) for lots more fitness and health tips – straight from the source! Share your questions and thoughts with us in the comments section below!